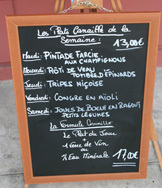 I just returned from a surprisingly good meal at the L'Ane Rouge Bistro (Bistrot Canaille --Hit). And, it seems by the quality of food and service it will definitely be a 'Big Hit'. The place was only about 75% full for a Saturday lunch but the Maitre'De (Jean Michel) said he expected the place to fill up for the evening crowd. The restaurant is very modern in style without table cloths and may appear a bit spare at first. This style is reminiscent of the new style reflected in many NYC restaurants. 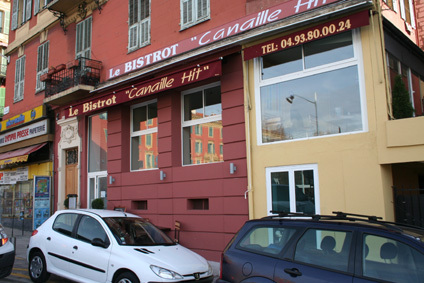 However, Bistrot Canaille located on the Port of Old Nice with large windows provide a beautiful view of port. The food is similar in quality to L'Ane Rouge but at a fraction of the cost. 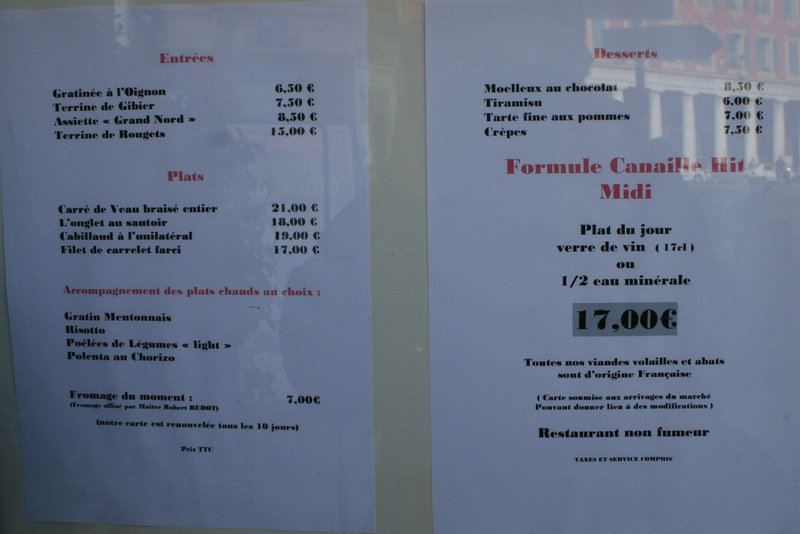 In addition, the house wines, served in carafes is an excellent value; a half carafe is only 10 euros is quite good.. It was clear the quality of food at Bistro Canaille was of Michelin quality. What will happen however when both bistro and L'ane Rouge are open at the same time? Will this level of quality continue? Having a minimal number of dishes on the menu at Bistro Canaille hit will help maintain quality. In addition, both restaurants are only about 100 feet apart so that Chef Michel Devillers can easily watch over both places. It also appear that the excellent local fisherman that Chef Devillers uses for L'ane Rouge will also supply Bisro Canaille hit. The menu at Bistro Canaille hit is small with only 4 entrees, 4 main dishes and 4 desserts. In addition there are specials each day. Each of the main dishes are served with a choice of a side dish (choice of risotto, two types of potatoes or gratin vegetables).The Saturday plat de jour was a daube (beef), however the Maitre'De spoke highly of the Rouget which their fisherman had just caught this morning. 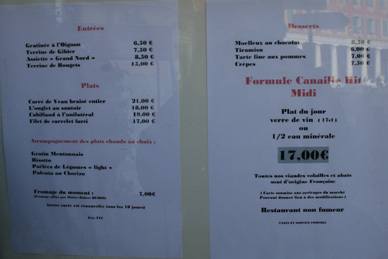 He mentioned that while the price-- 22 euros -- was higher than most of their dishes, it was a worth trying. And, he was quite right. The Rouget was as good as it gets. While the dish took some time to cook but was well worth the wait. The Rougets were served with a side of risotto which was also perfectly cooked. The Rougets were simply grilled but were very plump and extremely flavorful; clearly the fish was caught that morning. They presented the dish with a bottle of excellent olive oil and sea salt. There was a small garnish of fresh diced vegetables. The waiter brought a dish of lemon water to wash my fingers suggesting the need to use one's hands to get the maximum flavors of the fish. For dessert two dishes caught my attentio : the warm chocolate cake and the tart tatin. I went this time with the chocolate cake and will try the tart tatin next time. The chocolate cake was served with a scoop of ice cream with two sauces: a raspberry sauce and a creme anglais. Some powdered almond was sprinkled on the ice cream which gave texture and another dimension to the dish. I thought this version of warm chocolate cake was one of the best I have had. Their are only 4 first dishes, four main dishes, and four desserts. Each main dish is served with a choice of: risotto, polenta, potato gratin or vegetables.